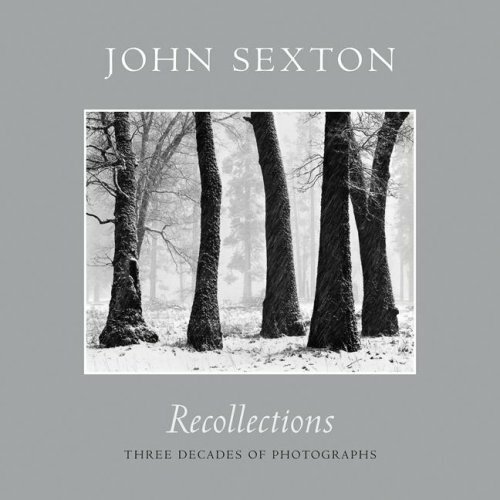 Recollections, John Sexton's beautiful new book, invites the viewer into contemplative landscapes and human-made environments filled with vibrant luminosity. Seen through Sexton's eyes, his subjects are transformed into images of tranquility, wonder, and mystery. From the purity of a fresh snowfall in Yosemite Valley to the enigmatic rock forms of the Colorado Plateau, Sexton explores the subtle nuances of details rather than grand vistas. Published by Ventana Editions, every detail of the project has been supervised by Sexton. The book has been elegantly designed by Cliff Rusch, and the large-format, black and white images have been magnificently reproduced on luxurious heavyweight paper by Dual Graphics. The fifty-five images included in Recollections - none of which have appeared in Sexton's previous books - provide moving testimony to his love of light and his dedication to revealing the beauty of the planet. In addition to the stunning reproductions, Recollections includes an illuminating foreword by well-known curator, writer, and photographer Arthur Ollman, as well as an engaging personal afterword by respected photographer Ray McSavaney. In his photographer's notes, John Sexton relates adventures and challenges encountered while working in the field and in the darkroom. Marked by the same excellence in printing and design as Sexton's three previous award-winning books, Quiet Light, Listen to the Trees, and Places of Power, Recollections promises an equally memorable experience.